Fandads: Are You Ready for the Nintendo Labo Vehicle Kit? 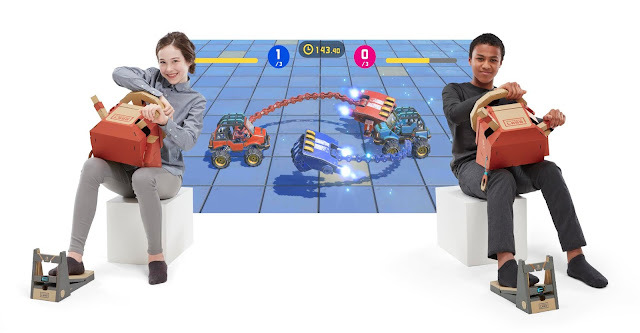 Nintendo Labo: Vehicle Kit lets you participate in one-on-one automotive combat with other players. 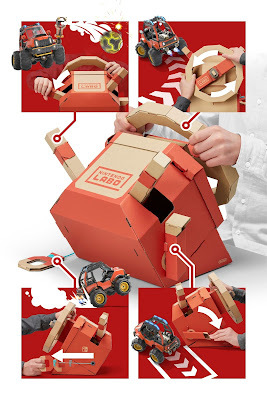 Multiplayer mode requires additional Joy-Con controllers and may require an additional Nintendo Labo: Vehicle Kit. System, kits and some accessories are sold separately. Different included games offer a variety of fun experiences: In Rally, you pass through checkpoints while racing to the goal. Circuit is a racing game with a twist – you can launch punches at opponents! Slot Cars is a classic game that is controlled using only the Toy-Con Pedal. And in Battle, you can participate in one-on-one automotive combat with other players*. With the Toy-Con Car, Key and Pedal, you’ll also be able to race against your friends* in the Mario Kart 8 Deluxe game for Nintendo Switch shortly after launch (Nintendo Switch and Mario Kart 8 Deluxe sold separately). Learn more about this new way to play with Vehicle Kit here. 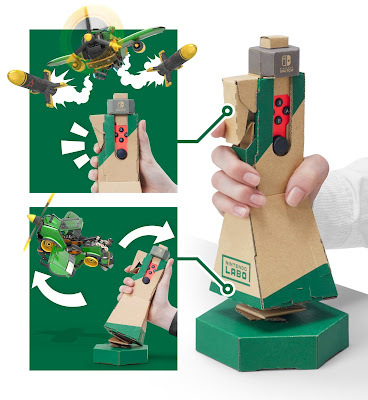 Nintendo Labo allows fans of all ages to make, play and discover with its interactive DIY cardboard kits that come to life with the power of the Nintendo Switch system. 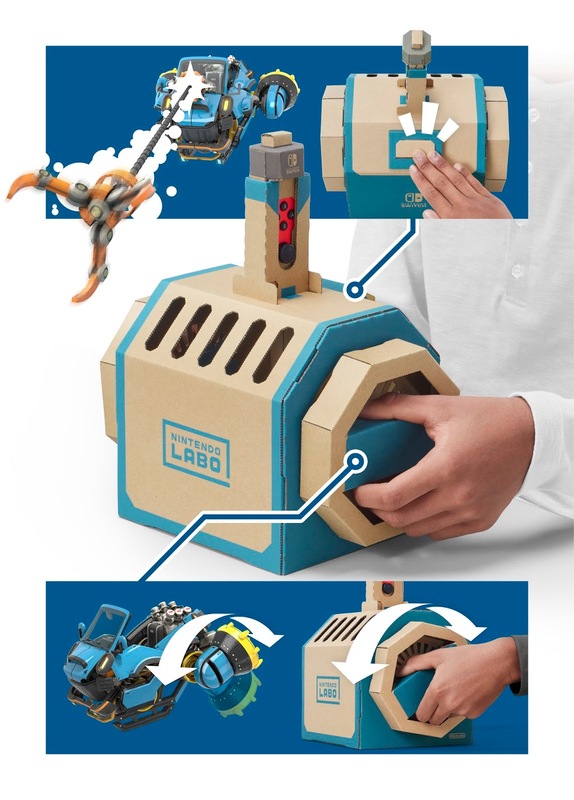 Nintendo Labo: Vehicle Kit launches on Sept. 14 at a suggested retail price of $69.99. For more information about the kit, visit https://labo.nintendo.com/kits/vehicle-kit/. *Multiplayer mode requires additional Joy-Con controllers and may require an additional Nintendo Labo: Vehicle Kit. System, kits and some accessories are sold separately.